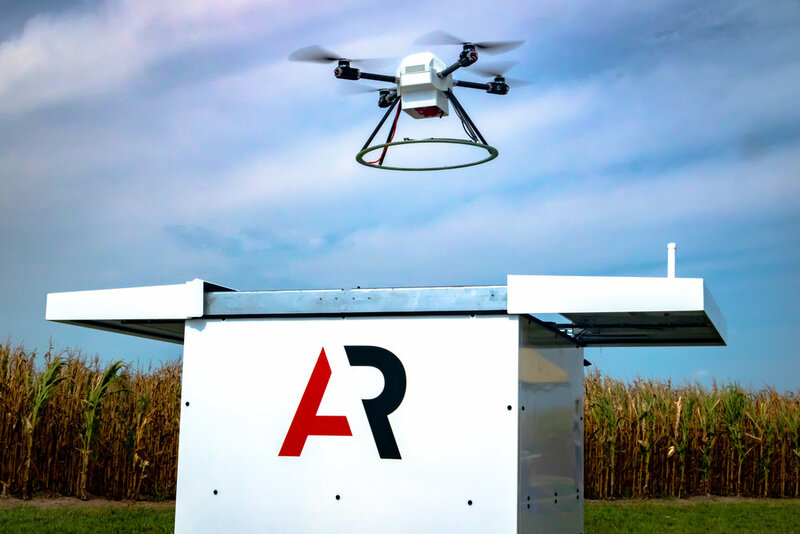 BOSTON, August 09, 2018 -- American Robotics, an industrial drone developer specializing in agricultural automation, today announced that its flagship product ScoutTM is currently deployed in a series of extended in-field trials across the US. The trials attracted significant interest from the farming community, reflecting the clear need for a practical, automated scouting system to enable improved agricultural decision-making, efficiently optimized input use, and maximized yields. The trials are underway with a range of organizations including farms, agriculture coops, and input manufacturers. Demand to participate was high, and a waitlist already exists for the limited release of Scout in 2019. Scout is the first self-charging, self-managing drone system for agriculture, capable of autonomously carrying out daily scouting missions. The solution incorporates visual and multispectral cameras and a weatherproof base station which handles housing, charging, data processing, and data transfer. Unlike other precision agriculture drone solutions, once installed within a farmer's field, Scout requires no manual intervention to plan, fly and manage drone operations. Detailed health reports and analysis are then seamlessly transmitted to the farmer.